What had become one of the longest days of my life would also become one of the most memorable days …. considering the way it all kicked off in the wee dark hours of a cold October morning. Today is the day we had been waiting for, preparing for, dreaming of, and believing in. Today is summit day. Up and at it before 4 am, the nightmarish reality of having to deal with the cold weather, dark surroundings, slippery ground and the anxiety of the unknown became all too real. We had to start the trek to Roopkund early in the morning while the snow was still hard. As the sun comes out, by mid morning, the snow melts and becomes soft and your feet start sinking in. Also, as it gets warmer, the hard ice gets slippery and it slows you down. We got into our many layers of wool, gobbled down some breakfast, and strapped on our backpacks, head torches and crampons. We were not carrying much items today – just a few energy bars, an apple each and two bottles of water. By the time it was 5 am, there were already a number of groups ahead of us on the way to the mystery lake. From the camp till the Roopkund crater above, it’s a 3 km ascending hike through rock and snow. It was scary in the beginning – it was dark and cold and we were not very sure of what lay on the path. We were advised to walk on the middle of the trail, and were told to try to step on the foot prints of the person in front which was difficult to find in the dark. The call “come on trekkers” from Raj Bhaiyya further boosted the confidence and determination to hit the target. The first 1 km was a gradual ascent and not very difficult. As I turned back I could see a serpentine trail of head torches stretched across the line. As we trudged up, the altitude did hit us, and some of us were finding it a little difficult to take deep breaths. The wind picked up and we were thankful to have the extra layers as we staggered through the high mountain gusts. At a few places, the snow had become hard and was cut into steps. Every time I go on a trek, I find myself grateful to those who have gone before me and have smoothed a trail for me. It was past 6 when the sun came out and hit the mighty Himalayan range. As for the view, it was magnificent. We could not see the rising sun but the rays glistened off the snow capped mountains and they appeared to be on fire. The Chaukhamba and several other mountains regaled in the most beautiful morning sky I had ever seen. The colours were different than anything I had seen before. And the feeble warmth acted like a cosy layer. We had to climb through some tricky switch backs (the zig-zag line we had seen from the base camp), then a steep granite step surface, and a final steep climb over a snowy flank to reach Roopkund lake. There were times when unknown hands came to help. This is the kind of camaraderie we found throughout the trek. There were guides and support staff, even from other groups, who were always ready to lend a hand of help. On one stretch of vertical switchback I was literally dragged across by a guide from another group for 10 m – that actually translates to 100 m on plain ground. The last stretch was exhausting and where we found our strength for that, I do not know. For the first time I learnt something very important; during mountain treks one faces danger, but dangers of a special kind – the dangers within oneself – vertigo, breathlessness, muscle fatigue and allowing ones nerves to get the better of one. There were times when I wondered if this trek would ever end, but it did and the feeling of relief was fantastic. After the last scramble, the slope leveled out and we arrived on a ridge. And then the moment came when you find the geodetic marker, this time it read “Roopkund Lake 0 km” – that was the moment we were working toward for the past several hours. It was exactly 8 am. All of us stood there panting in the crisp Himalayan air. I don’t know what the others felt, but amidst the high fives, handshakes and group hugs, I was having a bout of emotions – relief, happiness, excitement, a bit of hunger, and so much pride. I’d reached what feels like the top of the world both physically and mentally and it’s now mine to enjoy. 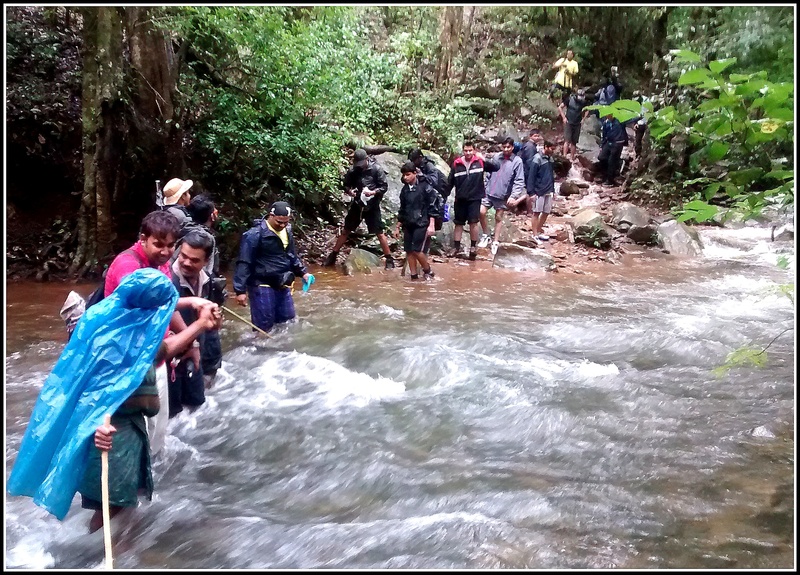 Not just me – we were a group of 26 trekkers and all of us reached the lake. At 15700, this ain’t no Everest but it still is a summit of reckoning – and one we were all proud of having climbed. We spotted a skeletal remain on the ridge – a heap of bones placed on a rock. Raj bhaiyya said that both human and horse bones were found around the lake. On one side of the ridge was a small stone temple with figures of Nandadevi and Bholenath inside. Ahead of us below in a snowy crater appeared a few clear splotches of water – the Roopkund Lake – or whatever remained of the lake that was now partially frozen and covered up in snow. In summers, the bones and skulls are exposed – as of now they remained buried in the snow. To reach the bottom of the crater we had to climb down 50 ft. The steep crater walls had inches of snow covering the surface which deprived us of any sightings of more skeletons. We did find one skull arranged in the typical skull and cross-bone symbol near the lake. After a few customary photos and groupies we decided to perambulate the lake. The 500 odd skeletons were discovered way back in 1942 by a park ranger. All the corpses had similar blows to the head and shoulders – short deep cracks on the skull and shoulder bones as if the blows had all come from directly above. It was found that the skeletons belonged to two kinds of groups. So was it a war that happened in the high altitude battle field? As it turns out, all the bodies dated to around 850 AD. And DNA evidence indicated that there were two distinct groups of people leading experts to believe that the group comprised of pilgrims heading through the valley with the help of the locals. According to local legend, the King of Kanauj, along with his wife, servants, dance troupe and many others went on a pilgrimage to Nanda Devi shrine. While crossing Roopkund during a raging hail storm, the entire party of pilgrims were killed. The remains lay in the lake for 1,200 years until their discovery. As we climbed up from the lake to the ridge, we found that the sun had fully risen and the glistening on the whiteness of peaks had reached all the way to the valley. Junargali was ruled out for us as we had reached late. We knew that getting to Roopkund is meaningless if you don’t climb up to Junargali. Two of our early arrivers climbed up to Junargali, accompanied by a guide. Junargali is a sharp ridge line that towers over Roopkund – a 250 ft steep climb from where we were standing. From Junargali , at 16,000 feet, you get clear views of Trishul and the adjoining mountain peaks. We sat by the stone temple and had our breakfast. The return journey was not very easy as we had thought; the snow had started to melt, making the trail slippery at a few places. One should be very careful when stepping on hard ice as it tends to get slippery. The snowy gradient looked dangerously sloping from this height, and the thought of climbing down those switchbacks was scary. At many places we had to negotiate the snow by squatting down on the ice. And while we were struggling to keep up with the slippery snow, we found Pushkar Bhaiyya sliding down the snow flanks on his back!!!. A few of our adventurous fellow trekkers tried the same; some managed to slide past without tumbling, a few took a few soft tumbles. In broad daylight the vistas looked so different. Did we climb up along these trails just a few hours back? But after a few vertical slopes, we reached back on level ground. We could spot our camp in a distance. By 11.15 we walked into Bhagwabasa camp. Had a quick lunch, gathered our things and set out to Pathar Nachauni, our night camp, where we had stayed a night before. 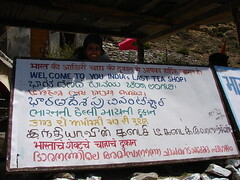 By 12.30 we had reached Kalu Vinayak and by 2 pm all the trekkers had reached home. Most of the evening was spent at the dhabha in front of the camp, mulling over our accomplishment over endless cups of piping hot tea and plates of bread omelette. That night, sleeping under the stars at Patharnachauni camp, I kept tossing and turning in my sleep bag. What an impressive physical, mental, and emotional accomplishment! Up there somewhere, Roopkund lake lay unmoved by our valiant effort of getting to her, a frozen little droplet surrounded by snow decked with the bones of a tragedy no one knew nothing much about. Click here for Day 6. Having slept like a log through the night, I woke to the unmistakable sound of light rain falling on the walls of the tent. Not exactly music to the ears knowing that the morning’s hike upwards was now going to be done in the wet and slush. We instantly knew it was going to be a cold day. The rain had stopped by the time we stepped out of our tents but the remnants of the wet weather clung onto our tent tops and sides, adamantly. When you’re in the mountains, morning chores become a stunted version of the more luxurious ones you are used to at sea level. First, it takes immense courage to brush your teeth and wash your face in the icy cold water: alternative – center-fresh and wet-wipes. The rain from last night had turned to snow and the hills around seemed to look even more impressive covered in a fluffy white covering. The frost on the meadows was twinkling like crystals clinging onto the ground. The valley was shrouded with a cloudy mist, rising up in swirls – the effect was positively ethereal. We had a tough trek ahead and the air was getting thinner. So Raj Bhaiyya decided we should have a warm up session before breakfast. The fun exercise did take away a little of the chill we had around us. We started our trek at 8.30 am. Trekking up from Pathar Nachauni till Kalu Vinayak would be on a very steep trail. And we would be climbing up from 12,770 feet to 14,550 feet in the next 2 km. The initial climb was gradual. We were mostly clambering over small hills and taking short cuts over grass land. And then the actual climb began – steep and slow. For the first time, nobody was waiting for nobody. No one spoke and we were just walking in single file, following each others’ footsteps. All of us were engrossed in our own struggles – some were struggling with their legs, some with their breaths and a lot with their minds. The mist had not lifted and during some stretches we could barely see the person in front of us. We kept resting after taking 10 steps, but Raj Bhaiyya kept pushing us from behind with his reassuring words “take deep breaths through your nose, drink water”. A few had already complained of headaches and nausea the previous night, however, none of us had any serious health issue till date. As we huffed and puffed our way towards the top, our band of ever-amazing porters and ever-jingling mules began to pass us along the trail with relative ease, pushing our luggage onto our next camp. Even in this cold weather, we were drenched in sweat but the air was cool. Whenever we stopped for a break, we would get a chill from the cold sweat so we just kept on chugging along. We had been cut-off from the rest of the world long back, however, it was during this stretch, for the first time, that I had that feeling of solitude among the mighty Himalayas. Through the thin air we could listen to a distant sound of ringing bells. Was it the sound of the jingling bells from our mules? To our relief, it wasn’t. Kalu Vinayak was only a few steps ahead and it was the simultaneous ringing of scores of bells by our enthusiastic ‘fast trekkers’ who had reached way ahead of us. By 10 am the difficult part was over and we had caught up with them. We had reached Kalu Vinayak temple. Kalu Vinayak temple has a a black Ganesh idol enclosed in a stone shrine. As in most of the Uttaranchali temples found in the Garwal and Kumaoni regions, a lot of bells are hung around the temple. The feeling of relief on reaching the top was immense. As we waited for the rest of our group to complete the killer final climb, we had the opportunity to sit down and take a well-deserved breather. From Kalu Vinayak, on a clear day, the trail to Roopkund is visible. And a clear view of the the mountain ranges – Nanda Ghunti, Kali Dak, Trishul, Chanyakot and Chaukhamba. The clouds obstructed our 180 degree view of the Himalayas, but it was still one of the most beautiful feelings. 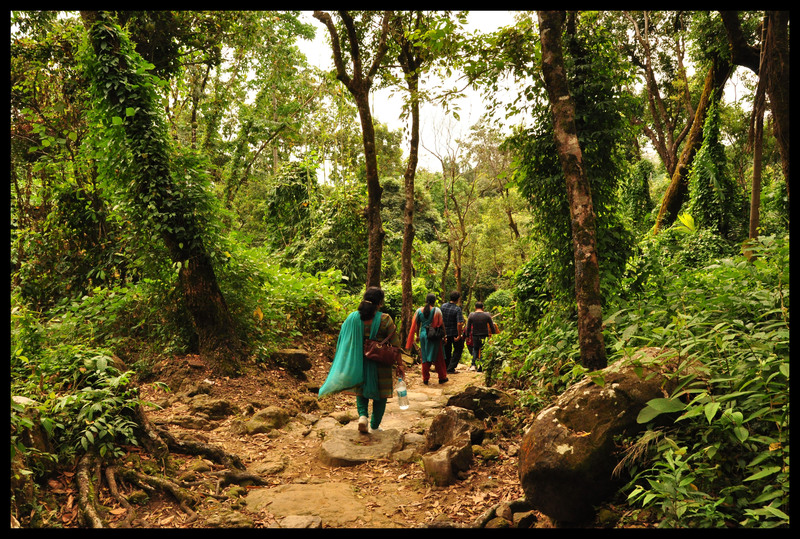 From Kalu Vinayak the trek to Bhagwabasa was a cake walk because of the gradual descent. The path was paved with rocks, cut into small slabs and there was occasional snow along the path. Our destination Bhagwabasa was less than 2 kms away from Kalu Vinayak. On the way there was a cluster of stone huts and we later learnt that, earlier, those huts were rented out to trekkers for the night. However, now most of them were in a dilapidated condition and abandoned. By 12 pm we walked into Bhagwabasa (14350 ft). The background was amazing – Bhagwabasa is set in a valley against a row of snow capped mountains. The sky was a deep blue and the white peaks were reaching towards the billowing clouds. The earth is in her glory here – you get to see some of the most magnificent peaks – Trishul, Nanda Ghunti, Chaukhamba – and we suddenly felt so insignificant. These mountains have lasted here for an eternity. They are the lords of the land and we were merely visitors. The camping ground had several rocks that lay scattered all around. The whole area was uneven. There were around 20 tents, a couple of larger tents and a few fibre glass structures. Our tents were not ready as a few trekkers were yet to reach from Roopkund, and their luggage lay in the tents. By the time we had our lunch, the Roopkund-bound trekkers had returned and had vacated the tents. By 2 pm the weather changed and it started to drizzle with small flakes of snow floating about. But not for long. Later, we were called into the mess tent and were given crampons – a plastic addon, with metallic spikes at the bottom, that would be providing us the much-needed grip while we trekked on the snow the next day. The trek leaders showed us how to attach the crampons onto our shoes. Around 4.30, the clouds gathered again and snow began to fall, now with more force. The air was fresh and chill. Though, we were a bit worried about how this snow storm would affect the next day’s trek, we could not think of anything else except the present. We had a little time pre-dinner to walk around the camp. The high clouds had already covered the tall peaks behind the Roopkund crater. Raj bhaiyya pointed out the trail going all the way up from Bhagwabasa to Roopkund Lake and further on to Junargali Pass. The trail was clear. We could even spot a zig-zag path that looked really scary from here. We were to cover this 3 km trail, early in the morning before the snow melted. The setting sun was shining feebly across the frigid snowy landscapes far below and the expansive snow-capped mountains high above. The moon was slowly moving up now giving an almost blue-tinged tone to the snow. The infectious support staff, with their friendly banter, helped to alleviate some of the aches and pains that were creeping into our limbs after a tough day’s climb. Another great meal capped off a fantastic day on the trail en route to Roopkund. Roopkund Lake lay only 3 km away from the camp. I still had to pinch myself knowing that I was just a night away from my dream encounter with the skeletons!!!! Tomorrow is summit day. 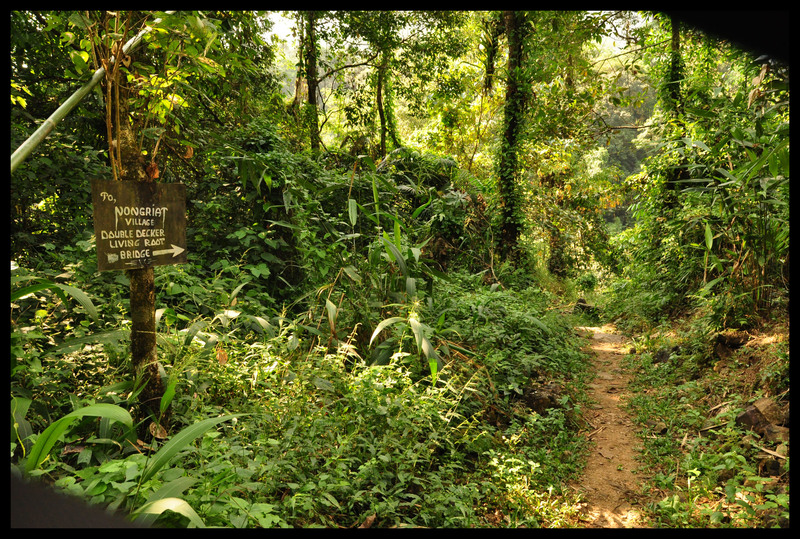 Terrain: Steep ascent from Pathar Nachauni to Kalu Vinayak and downhill trek from Kalu Vinayak till Bhagwabasa. After a night of tossing and turning, we woke up at the crack of dawn. Imagine waking up and rolling out of bed to be greeted by a misty mountain view, with the sun peeping out and pink skies above you. Well, in a tent you do not roll out, but crawl out. For the next few days we were to follow a few steps, or rather crawls and crouches, while getting in and out of a tent. Unzip your sleeping bag, which invariably gets stuck, the more you rush. Sit in a crouching position. Unzip the inner tent opening. Crawl out till the inner tent opening, still struggling to free yourself from the clutches of your sleeping bag. Now sit back down and stick your leg out so that you can put on your shoes. Unzip the outer tent opening. Lift yourself up still crouching and walk out of the tent. Have your back against the tent door and fall onto your rear (ouch!!! ), your legs still jutting out of the tent. Remove your shoes and crawl into the tent. PS: And every time you remove/put on your shoes while you enter/exit the tent….arduous! Armed with our tooth brushes we walked towards the fiberglass tents. Ali Bugyal camp did not have a running water source so we had to make do with the minimal water available which was stored in plastic containers. When you’re deep in the woods, miles away from the nearest restroom, it takes some extra effort to take care of your ‘business’ in a hygienic way. With generous dollops of hand sanitizer, tissue paper and wet wipes, keeping clean was often a struggle. Without the modern conveniences we’ve become so accustomed to, keeping up with the bacteria, dirt, and grime was a constant challenge. At least, everyone smells equally bad on a high altitude trek. But it didn’t matter – we were all bundled up in many layers to smother the scent. And who actually cared – after all we were not there to take part in a beauty contest. In ten minutes we were holding onto our glasses of hot tea and taking in the vista in front of us. Green valleys spread out before us with a few clouds looming in the sky. A thick layer of fog hung throughout the valley, making it impossible to see what lay behind. Above the fog layer, the sky was a mixture of grey and pink. The weather cleared slowly, the fog lifted and as the sun broke through the clouds, we could see the rim of the snow capped mountains, jutting out like vanilla cones sprinkled with dark chocolate – we were pointed out the Trishul peaks, Chaukhamba and Kali Dak. We spent some time on a vantage point taking snaps till the breakfast call came. By 8.30 our luggage was loaded onto the mules and the first set of trekkers were already on their way. We walked up from the camp, passed a stone temple and were now hiking on the huge Z mark we had seen the previous day. The hike was not tough as we were passing on plain trails. Our next camp was Pathar Nachauni, 5 km away. The trail to Pathar Nachauni was along a mountain edge, a narrow path with mountains on one side and a sloping valley on the other side. In half an hour we were walking by another Himalayan meadow – Bedni Bugyal. Bedni Bugyal lay down in the valley on our left. 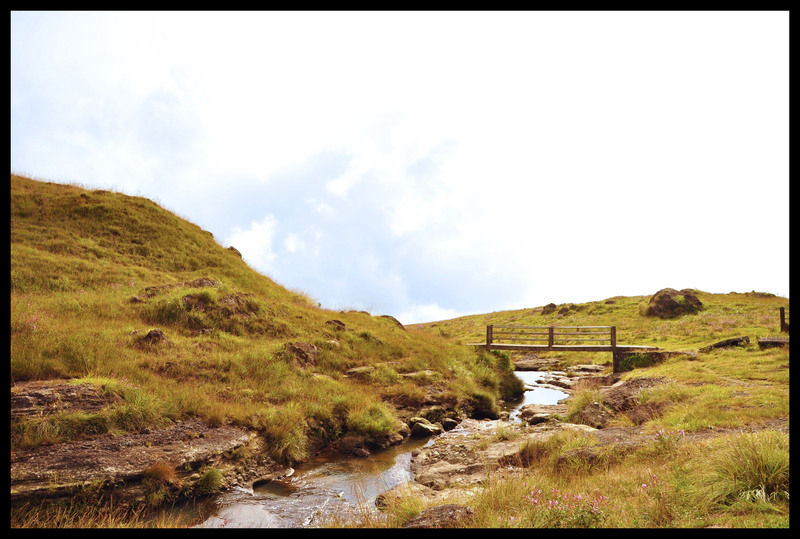 In the middle of the grass land there was a pond – Bedini Kund. 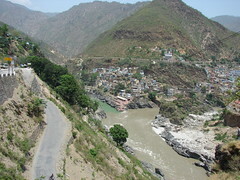 Locals believe that Maharishi Ved Vyas compiled all the four Vedas in this valley. 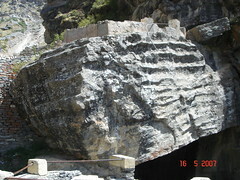 There were two small stone temples near the Bedini Kund. We could also see a camping site, complete with a dozen tents and a couple of fiberglass tents. 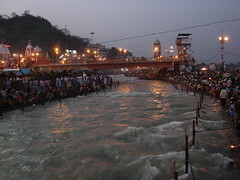 We would be cutting through the Bedni Kund on our way back. There are two approaches to the meadows of Bedni Bugyal from the plains, one from Loharjung via Didna, Tolpani and Ali Bugyal – which we had taken – and the other, a steep climb directly from Wan village. We ascended through the first and would descend the other way. Near the Kund, we could see a line of trekkers from another group. They were struggling as they climbed from the valley along a steep zig zag path to reach the main mountain trail we were moving on. We did thank our stars that we did not have to go through that steep climb in the morning. On our way back we would be taking that path down. The trek today would take us through Ghora Lautani before we reach our camp at Pathar Nachauni. Ghora Lotani stands at a height of 3945 m and is about 2.5 kms from Ali Bugyal. It gets such a name because horses would never go up from this place – the place from where the horses returned home. By 11 we reached Ghora Lautani. As there was a chance of rain, we were instructed to get into our rain wear immediately. The clouds had started to build over the mountains and there was an occasional peal of lightning accompanied by a flat rolling roar. Till now the nature Gods were pleased with us and we had not faced any showers, hail or snow. After Ghora Lautani, we had now moved onto the other side of the mountain. There were signs of major landslides that looked really scary. The valleys looked browner than green, a sign that we were gaining altitude. The valley was covered with clouds which shielded the white peaks of Trishul and Nanda Ghunti. From Ghora Lautani to Pathar Nachauni (1.5 kms), the trek was easy, almost going downwards. After 30 minutes or so we could spot a campsite on the right side, which belonged to another trek company, amidst an extensive alpine meadow down in the valley. The camp looked colourful with a dozen yellow and orange tents. Our campsite was further up on a ridge on the left side of our trail. By 11.50 we trickled into Pathar Nachauni. We were now standing on ground that was 12766 ft (3900 m) above sea level. The camp consisted of two rows of 16 tents, 8 on one side bang opposite to each other. There was a huge mess tent, a few fibre glass tents and a shed for the mules. The toilet tents were placed further away up on the ridge. There was a small dhaba right in front of the camp. We had barely reached the camp and it started to rain. The food provided throughout the trek by TTH was of top quality. Our menu was never repeated, and we were served with a variety of dishes. After a sumptuous lunch we thought we’d explore the place with Raj Bhaiyya. The rain had stopped now, but the whizzing Himalayan icy winds were on the prowl. Pathar Nachauni is a brown meadow, sprinkled with rocks – small and large. Raj bhaiyya told us story, a popular folklore associated with the name of this place. A local King, on a pilgrimage to Nanda Devi, stayed at this place. He was traveling with a large group which also included a few dancers. The King got so lost in their performance that he finally forgot about the pilgrimage. Nanda Devi cursed the King and turned all dancing girls into rocks – thus the name Pathar Nachauni. An interesting story indeed. The path from our camp led up to a steep hill and we were to follow this winding path tomorrow. The small temple of Kalu Vinayak lay somewhere amidst the mountains ahead of us. The trail between Pathar Nachauni and Kalu Vinayak is considered as the most difficult stretch to cover, because of the steep climb and altitude gain. Tomorrow we would be camping higher – at the highest camp of this trek – Bhagwabasa. And tomorrow we would also get the first glimpse of our destination – Roopkund lake – or at least the mountain where Roopkund lay hidden in a shallow crater. Tomorrow is always better than today. Terrain: Gradual ascent from Ali Bugyal to Ghora Lautani and downhill trek from Ghora Lautani till Pathar Nachauni. We woke with the consciousness that we were into Day 2 of the trek. Though a bit chilly, we knew it was going to be a much warmer morning as compared to the ones we will wake up to in the next few days. There was yet another consolation in store – this was the last of the genuine (read non-pit) toilets for the week ahead – so there was quite a beeline for the toilets – both Indian and European for that matter – already. By 7.30, we were all ready, breakfasted and even through with Raj Bhaiyya’s morning drill. We set off at 7.45 am. 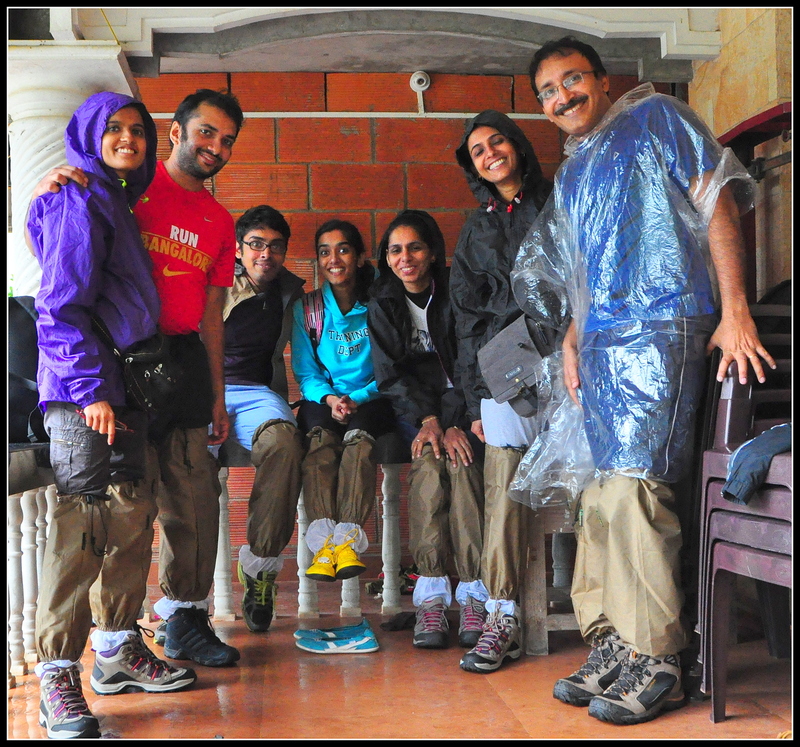 There was a “slow trekkers” group formed on the basis of the performance that the guides made out on Day 1. They had already left about half an hour back and the rest of us also set out in trickles of small groups. We took our first unofficial stop in 10 minutes at a brook to top up our bottles. It was also the first time we were filling directly from a natural source – a sign that we were now high up and the water pure. The climb, to begin with, was fairly steep and got our limbs working immediately. The ground was slushy, but navigable, and in no time our Quecha trekking shoes were smudged and dirty. The entire walk is through a mixed forest covering the whole range of oaks, pines, deodars, and fir interspersed with broad leaved ferns and some brightly coloured mushrooms too. We must have ploughed on long enough to feel relieved at reaching a more level ground. As we walked out of the forest cover we spotted swirls of smoke – an evidence of inhabitation. We had reached the small village of Tol Pani by 9 am, our first official stop for the morning. Though the trail was completely shaded we did feel thirsty after the steep climb. As we trudged through the village, we noticed the water source Raj Bhaiyya had mentioned during the morning drill. 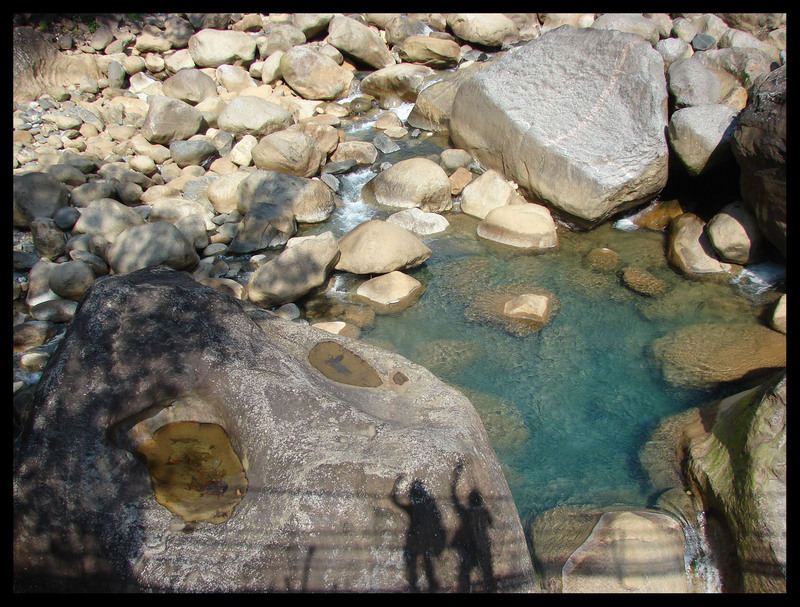 We were supposed to fill our bottles as this was the last water source before we reached our camp site, Ali Bugyal. The forest village comprised of a row of thatched houses interspersed with fields containing different crops. The forests provided not only fuel wood but also extensive grazing land for the livestock. After Tol Pani, starts the almost vertical but zig-zag climb that passes through dense oak forests. We tried taking a few shortcuts, clambering across the tree roots, instead of walking along the well tread bridle path. But we realized that these shortcuts we took, shortened the journey, but the energy required was often greater than the time we saved. We kept asking Raj Bhaaiya “How much more time?”, more due to our hunger than our tiredness. Whenever we asked our guides “How much further?” they would reply with, “Just half an hour more.” We would continue with renewed vigour and end up walking for more than 2 hours. Our incentive in the form of paranthas and boiled potatoes/eggs waited for us at Tol Top. There was just one agenda for us at the moment, to reach Tol Top and have our packed mid-meal. By 10 am the difficult part was over and we reached a more level ground. The sun was barely trickling through the trees which had grown tall and bent over to form an extended arch. There’s nothing more enchanting than walking through a tree lined pathway carpeted with a permanent cover of moss and dry leaves, with the light spilling through the branches. For a few minutes we even forgot that we were at a height of more than 3000 m.
By 10.40 we emerged from the trees and walked onto a small ridge. We had reached Tol Top, the starting point of the famous Himalayan highland meadows. We flung our backpacks onto the grass and took in the views around. The faster trekkers had already munched onto their mid meals and were lazing around. From the ridge, the villages, houses, paths and fields appeared below. Everything looked so small from this height. After all we had touched 3000 m. On a sunny day, you get clear views of Nanda Ghunti. Today was not our day; the mountains were hidden by a few low adamant clouds. Raj Bhaiyya pointed out a road in the distance – the road from Wan village which we would take back on our return journey. We had lunch at the beautiful overlook, it just seemed like a good place to stop and eat. After lunch, it seemed like too good a place to leave, but we had to move on. This would be the last sign of forest cover we would see for the next few days. The bugyals spread out in front of us, strewn with tiny mountain flowers in all their beauty. We continued to walk through the charming meadows, for the next few hours, literally amazed by the beauty of this green expanse. 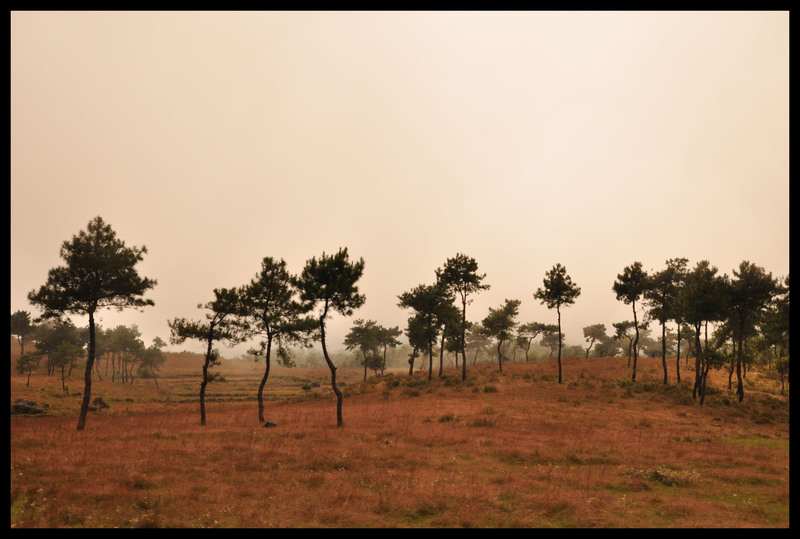 The meadows were occasionally flanked by pine forests at the fringes. A line appeared to have been drawn by a ruler, separating the bugyals from the pine forests. The clouds were dark grey with hints of a noon shower. It was a wonderful feeling, sauntering over the bugyals, running down a lot, clambering up a few, with only the grey misty skyline around. 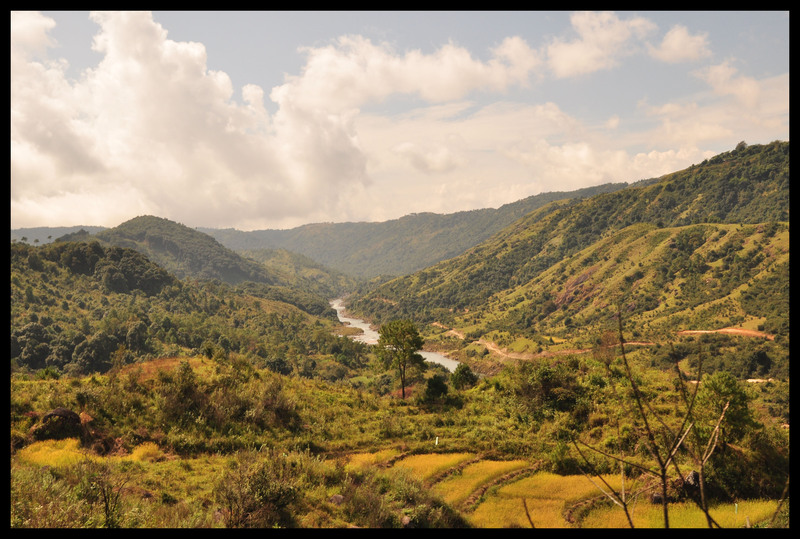 The Ali Bugyal meadow stretched out far and wide ahead, but the camping areas are limited to the fringes of the bugyal, where there are sources of water. By 1.00 pm we could spot our campsite in a distance. The campsite was located just on the side of a small mountain which had a huge ‘Z’ mark on it. It took us another 20 minutes to reach the camp site – our first tented accommodation of the trip. We had walked for 10.5 kms today, climbed 1000 m and were now at an altitude of 11520 ft/3510 m. Our Ali Bugyal camp had 11 tents, 1 bigger mess tent, three fibre glass tents and a couple of toilet tents. Further down, we could see a clutch of tents where a few Americans had parked themselves. By the time we had booked our tents by marking our territory with our back packs, we were called into the mess tent for a glass of warm lemon juice. A lot of us wanted to sleep off our tiredness, but Raj Bhaiyya was not in favour of an afternoon siesta. Light exercises and activities during the day are better than sleeping because respiration decreases during sleep, exacerbating any altitude sickness symptoms. So to make us work out a bit, he decided to have a campfire that night. We would already cross the tree line by tomorrow and it would not be possible to find log and wood from next day onwards. Carrying those oak branches and wooden logs from a nearby forest was the acclimatization task for that day. We spent the evening playing games and singing around the bon fire. The mountain views were still obscured by the clouds and mist. Somewhere in the distance Nanda Ghunti, Trishul, Kali Dak, Chaukhamba, and Neelkanth, were staring back at us. It did get cold in the night, however, we all had our thick woolies on and sleeping bags. It was the first time for a lot of us – sleeping in a sleeping bag in a tent. It was easier said than done. But after a struggle, we could finally squeeze into the tiny space and lay down, two in a tent plus our 60 L back packs and 30 L day packs. We looked like a bunch of modern Egyptian mummies. The night went sleepless inside the tent, without being able to toss and turn. But just to realize that we were sleeping on a Himalayan meadow @ 11500 ft – priceless. Tomorrow we would move to a higher camp, where the mountains are nearer, stars are clearer, air is thinner and the earth is colder. Tomorrow we move onto Day 3. Terrain: Uphill trek from Didna via Tol Pani to Tol Top for the first three hours. Easy trek from Tol Top to Ali Bugyal for the last two hours. Amidst the blinding white lay a clump of bones, propped up more inelegantly than it ever had been inside of a human frame, ages ago. Just how it came to pass that it still lay there in fresh snow in front of a troop of panting but relieved trekkers who braved the cold, the distance, the altitude and the reputation of a mysterious lake to stand and stare at it, is the stuff that great adventure trips are made of. And that is what Roopkund is all about. Months of preparation and expectation, the bone chilling weather, the difficult mountain, the 4800 m (16000 ft) summit, the 53 km trek over 6 days, the wonderful company (of course!) and something that no other trek can promise – the unsolved mystery of untold deaths and the hundreds of human skeletons that adorn the rims and bottom of a hidden lake in the high Himalayas. Over the next few posts I’ll be sharing our Roopkund Chronicles. Stay tuned for our moments of exultation, our lapses of consciousness, blissful mindfulness, fights with breathlessness, and being one with the precious stillness. The trek to the mystery lake begins here…..
We had been walking through the slush for over five hours now. 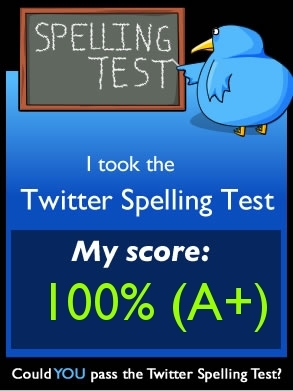 Wading would have been the ideal word. A sudden spell of bizarre weather had turned the undulating verdant green hills into a booby trap. Bizarre weather!!! So what else would you expect in a place which has an annual rainfall of around 7000 mm in the monsoon season? Incessant rain, incessant rain and incessant rain. It was impossible to stand at one place for more than one second without your shoes sinking into the mud; if you stood for two seconds, a couple of leeches would sink their fangs into your skin. Our trail looked no more like a trail. The chunks of mud on the trail had caved in and were flowing over my right shoe. And my left shoe? I had lost my left shoe, a couple of hours back, when I fell into a stream while crossing it. My backpack was wet and it seemed to be getting heavier every minute. But I was more worried about our phones which had taken the brunt when I fell into the stream. 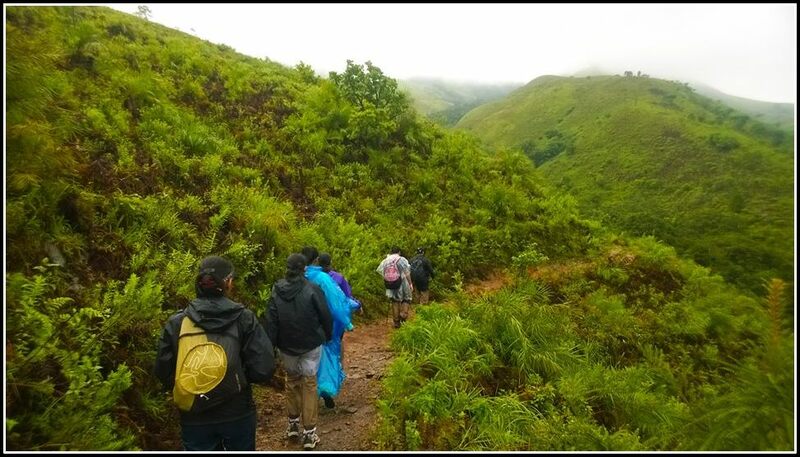 We, a group of seven, had decided to undertake the 18 km up and down Kudremukh monsoon trek to get ourselves inspired for a longer trek – the 53 km long Roopkund trek in the Himalayas. 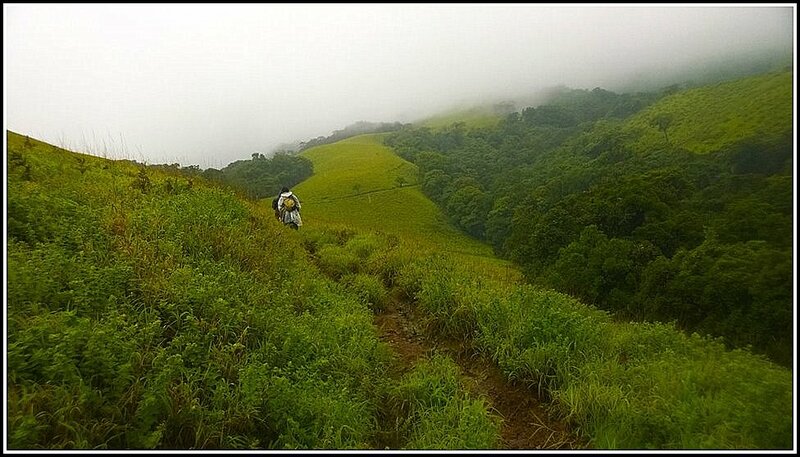 The Kudremukh Trek is an epic journey of wonders. 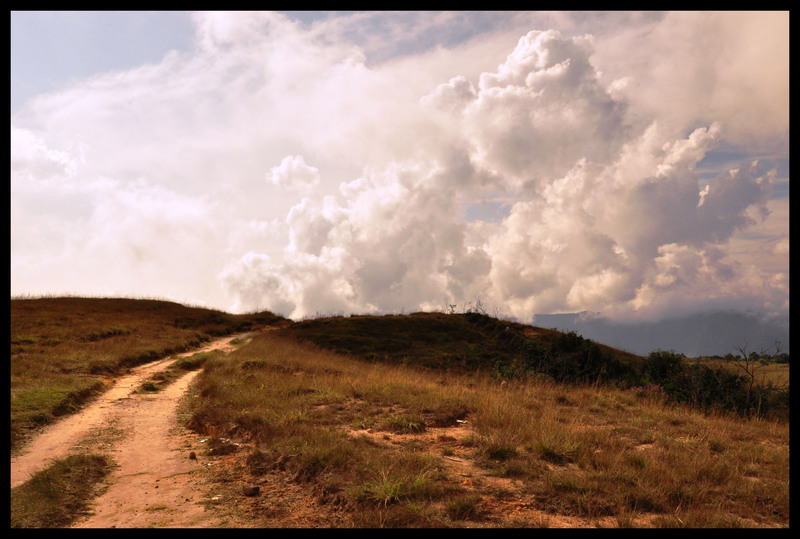 It offers 18 km (two way) and 7-9 hours of exploring psychedelic landscapes – rolling hills with unending landscapes of green carpeted grass, lush valleys lined with gurgling streams, and shola forests against the backdrop of the third highest peak in Karnataka, Kudremukh Peak that stands tall @ 1892 m. Sounds wonderful….doesn’t it not!! 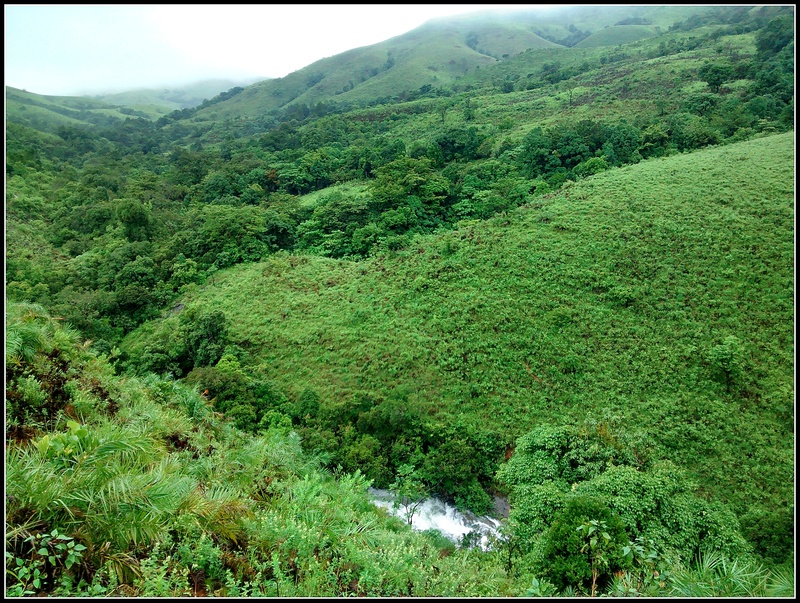 The Kudremukh sanctuary stretches into the districts of Udupi, Uttara Kannada and Chikmagalur and gets its name from its one peak that resembles the face of a horse. Did we did start off on the wrong foot? I guess so, because we ended with a lost shoe, a few dead phones, a dozen of leech punctures and seven worn out trekkers. 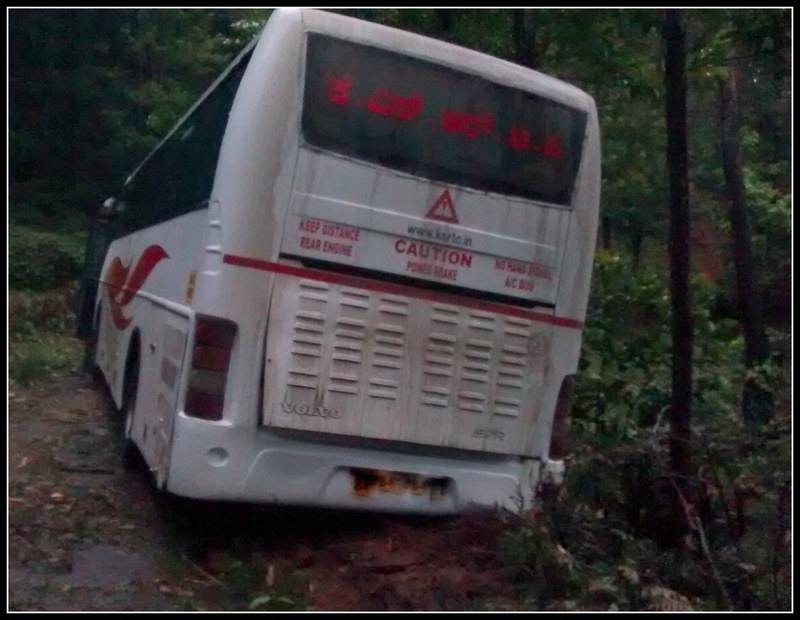 The previous day we had caught a Horanadu bound KSRTC bus from Bangalore. We were to get down at Kalasa from where we were to be picked up by a jeep till Mullodi village. The jeep was arranged by our guide and host, Raje Gowda (Rajappa) who runs a guest house – the Mullodi House. He was to also arrange for our forest permits, breakfast, packed lunch for the trek, and our stay for the night at the Mullodi House. 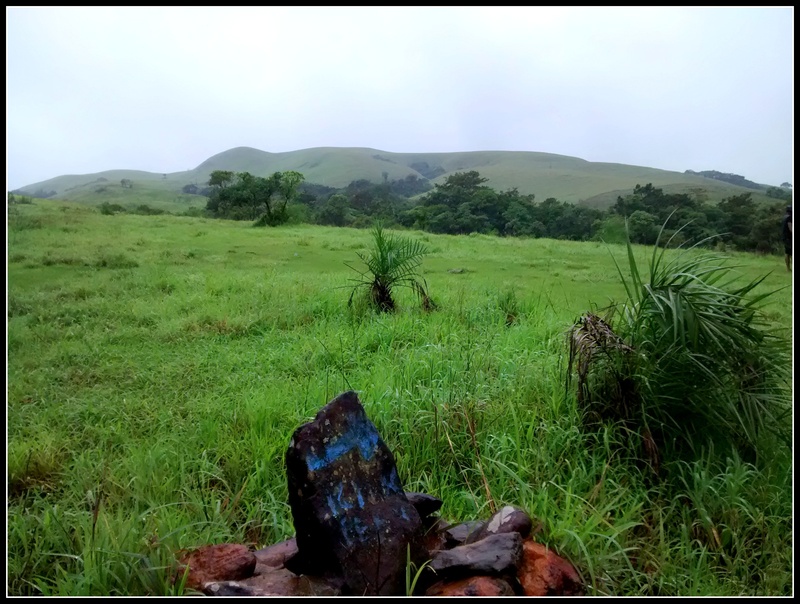 The Kudremukh trek starts from the village of Mullodi. The monsoon season was well underway by the time our bus reached Belur. Kalasa was a good 80 km away. By 6.00 am we were climbing the winding roads through a coffee estate when suddenly the bus swerved to the right, jerked and gave up a cloud of smoke and came to a rolling stop. The right wheels were stuck in the mud. The more the driver tried to come out of it, the wheels got cemented further. We were at least 10 km away from Kalasa. We climbed out of the bus and paced around the forest road. The driver, after a few futile tries, killed the engine and got down. There was a light drizzle. This was not a good sign. To reach the far-flung village of Mullodi, we had to be at the mercy of the public transport system, which was totally non-existent. We made a phone call and arranged for Rajappa’s jeep to pick us up for an extra charge. After waiting for another hour, our salvation came rolling up. We drove to Kalasa, from there Mullodi is 6 km away. It took another 45 minutes to cover the 6 km long drive on the mud track. We finally reached Mullodi by about 8 am.We freshened up, had breakfast and geared ourselves for our monsoon trek. 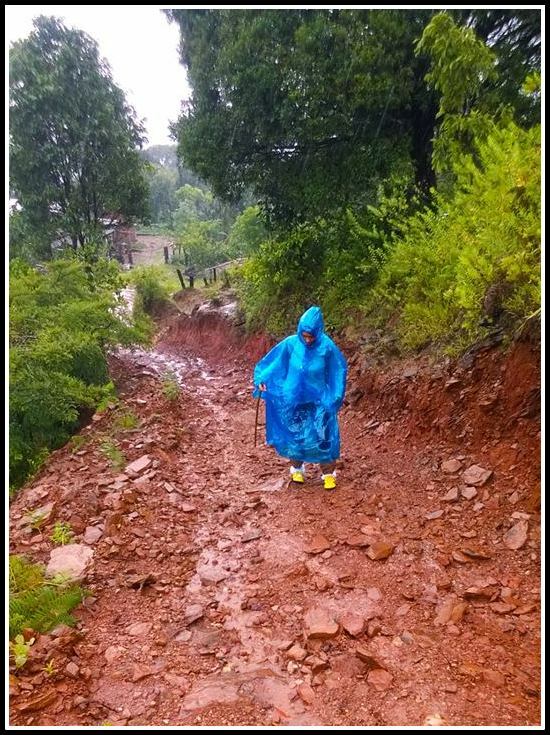 Now gearing up for a monsoon trek would mean that we were wearing our raincoats, our leech guards, and sturdy shoes with a hard grip to tackle the muck and slippery surfaces on the trail. By 10.00 am we were on our way. We were accompanied by a guide. The initial exercise was to climb a heavily stony muddy trail. The rain had made the path slippery. In another 15 minutes we had come face to face with our first glimpse of the Kudremukh range. We passed a meadow where we saw a huge single tree – which we later came to know was called the Ottimara (the lone tree). Deep down in the valley we could see a fast moving stream. In about 10 minutes we reached our first stream crossing. It was not deep and we could cross it with a little help from our guide. We kept flicking off leeches from each other’s clothes. We passed through Shola forests, jumped over dead tree logs, continued disengaging leeches and kept crossing streams. One stream was particularly wide and it looked like a confluence of two streams. The flow was very strong and it was as if I was losing strength from my legs. I had only reached the middle of the stream, when calamity strikes. The flow overpowered me and I fell into the water. Our guide caught hold of me and pulled me up, it was then I realised that I had lost my right shoe. Our guide did his own investigation and went to see whether my shoe had miraculously lodged against a stone or a hanging tree branch or root. It was nowhere to be found. No one would entertain the thought of walking around with just one shoe on. Not only would it be really funny, it would also be really bad for my feet. And I would have slowed down my fellow trekkers as well. So how was I supposed to continue with my trek on this muddy path. Should I turn back and walk the 3 odd kilometres we had just walked from the base camp or should I just sit it out in the jungle and wait for the other trekkers to get back. I have often come across abandoned footwear – a lone boot, a slipper or a shoe – in the most out-of-the-way places like historical monuments, ponds, or by the side of roads. I have often wondered about these ‘Cinderellas’ who kept tossing their shoes. But now we were all frantically looking for a ‘lost sole’. How I wished I could find one abandoned shoe. If anyone had abandoned their footwear – in any shape, condition or colour – I would jump for it and wear it. And voila, there lay the answer to my prayers. An abandoned sole! I had my leech socks on, under which I was wearing thick woollen socks. I removed them both, placed the sole under my feet, wore the socks over it and finally slipped on the leech socks. Something was definitely better than nothing. We now came to a small hill. The steep zig zag climb up the hill took us to some height and provided a panoramic view of the surroundings. I felt really bad as we had all stopped admiring the views by now. On one side was a cascade of hills covered with lush green grass, interspersed with shola forests. 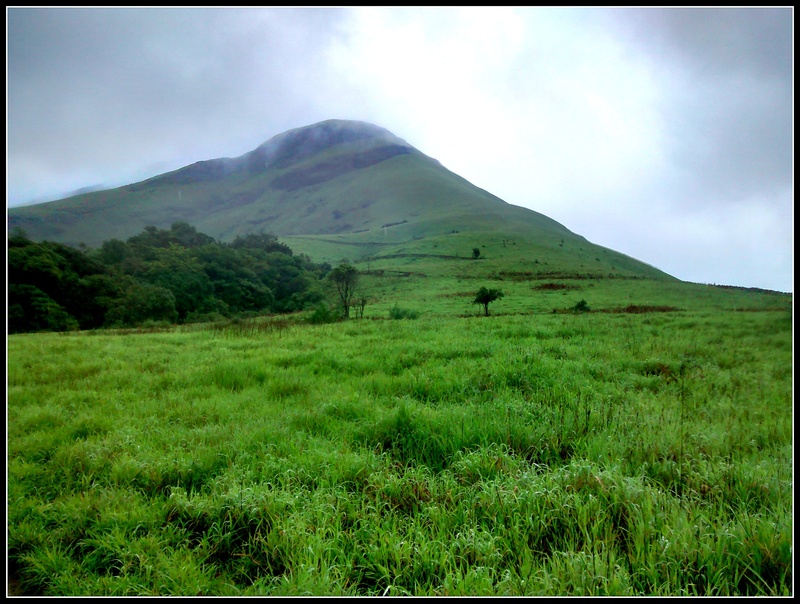 The Kudremukh peak was high up there with its sharp drop on one side and the other side resembling a horse’s face. There were a few more streams to cross and I was now finding it a bit difficult to balance myself with that slippery sole. Exposure to the cold water was giving me cramps as well. We must have been a kilometre and a half away from the summit when it started to rain heavily. Water came pouring down the mud trail and it was difficult to walk on the mud. Peering out of the modest shelter of my raincoat, I asked the green hills, “Is this how you welcome enthusiastic trekkers?” The retort comes in the form of another spell of cold showers. Exhausted, I soldiered on. Our guide mentioned that if it continued to rain like this the streams would rise with the increased flow of rain from the mountains. We finally decided to turn back. The climb down was faster, but the streams had swollen. And I had become a bit paranoid. I only remember being pulled across the streams. We reached back at 5 pm. 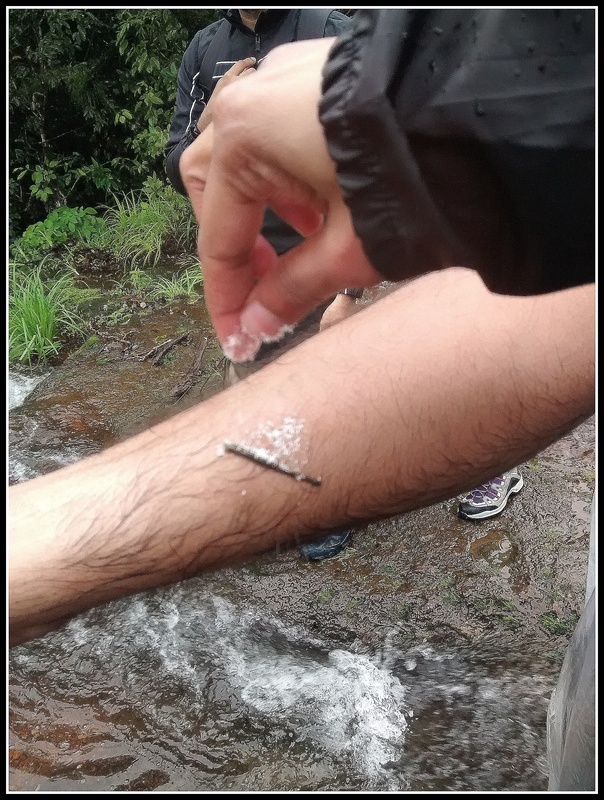 I removed my left leech socks – pretty much shredded by then – from my shoeless foot and found three leeches hanging on. I sprinkled salt and watched the leeches fall off lamely, but the blood kept flowing on for the next couple of hours. It did not take a huddle for us to decide to check out from Mullodi village and go in search of another hotel closer to civilization. We spend the next day tending to our leech punctures, our wet phones and our exhaustion. 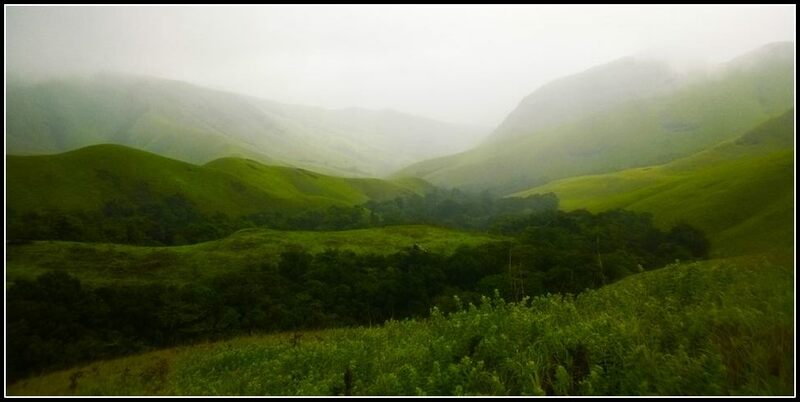 Kudremukh receives an average annual rainfall of 7,000 mm. The wet climate and the tremendous water retentive capacity of the grasslands and forests has led to the formation of thousands of perennial streams in the region converging to form three major rivers of the region – Tunga, Bhadra and Nethravathi – that form an important lifeline for the people of Karnataka and Andhra Pradesh, providing sustenance and livelihood to the millions of people living downstream. 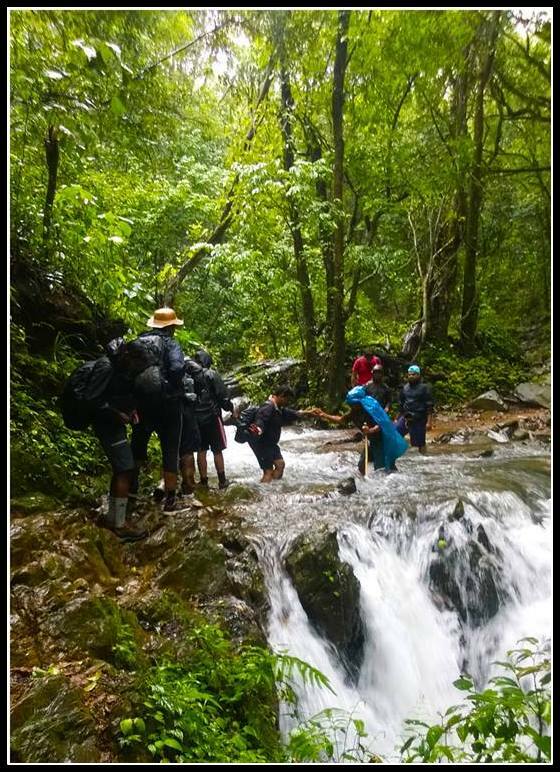 For trekking enthusiasts, if the idea of a monsoon trek appeals to you, you won’t mind the odds – the incessant rains, paths paved with slush, umpteen stream crossings, leeches unlimited and some seriously wet gear. 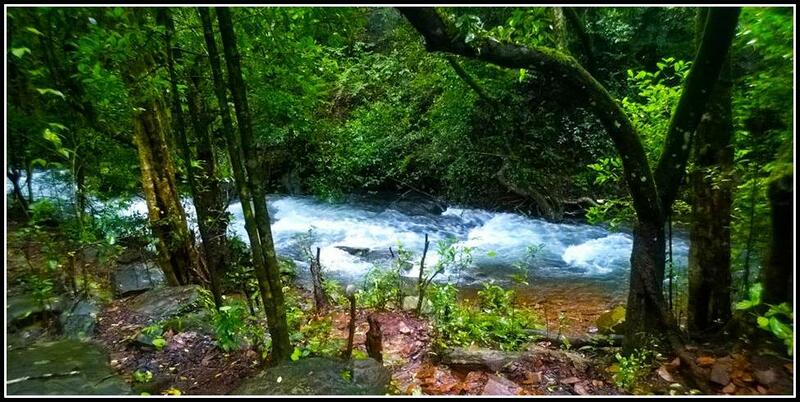 Then head out to Kudremukh in the rains, between June and August. 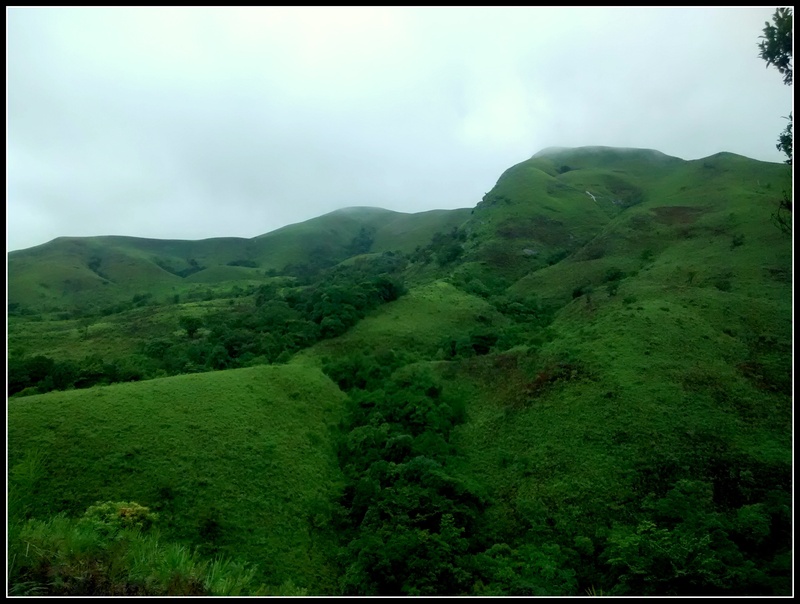 For those not too keen on a monsoon trek to Kudremukh, October to February promises cooler weather, less leeches, clear views of the rolling hills, verdant valleys ….. and intact shoes and dry phones, of course! None of us dared to carry our DSLR cameras. We had a few mobile phones which were all soaked by day end. We did manage a few shots, but could not manage to take as many pictures as we would have loved to. The few we managed are posted here. C’mon we had fun too…. During the cold Delhi winter months of December and January, a decade ago, I read JRR Tolkien‘s ‘The Lord of the Rings‘ for the first time. Out on my balcony, enjoying whatever sunshine was available, munching on peanuts, I completed this epic in two months. At night (and during the day) I would dream of myself joining the fellowship, climbing over the snowy Misty Mountains, trudging over the Dead Marshes, stumbling into the Fangorn Forest, riding towards Edoras, shivering with fear and sweating from the heat of Mount Doom, crossing the River Anduin and admiring the Pillars of the Kings at Argonath. The Ents on the move?? For Peter Jackson, choosing New Zealand to shoot his three Tolkien films was logical. He lived in the capital city, Wellington, and his hi-tech digital studios and film company were nearby. Jackson and his team scoured New Zealand for the most beautiful and diverse areas. The mountains in Glenorchy became the Misty Mountains, rolling hills of Matamata became Hobbiton, while the volcanic region of Mount Ruapehu transformed into the fiery Mount Doom, the forests near the Mavora Lakes became the Fangorn Forests, Mount Sunday was the location for Edoras, and at least four rivers were used to depict the River Anduin. I am sure Peter Jackson has never visited Meghalaya!!! 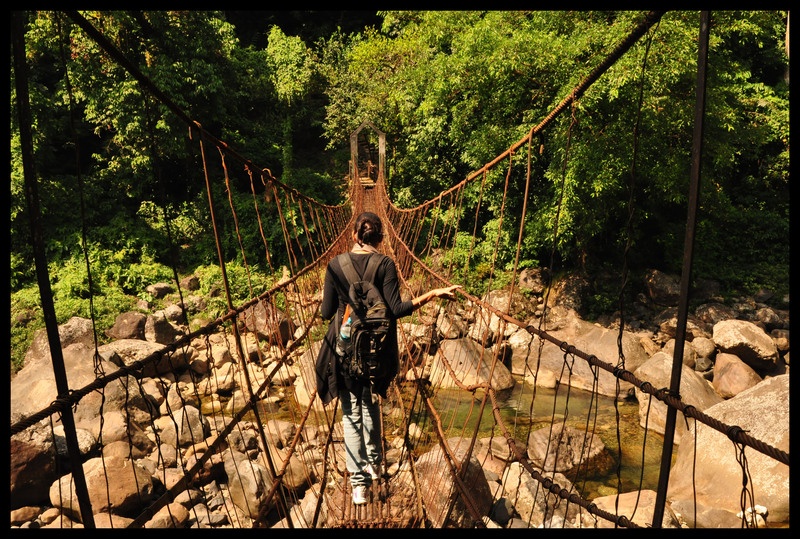 Meghalaya – the abode of the clouds, the home to the sacred forests, the land of the cleanest and the wettest villages, the longest caves, and the living root bridges. 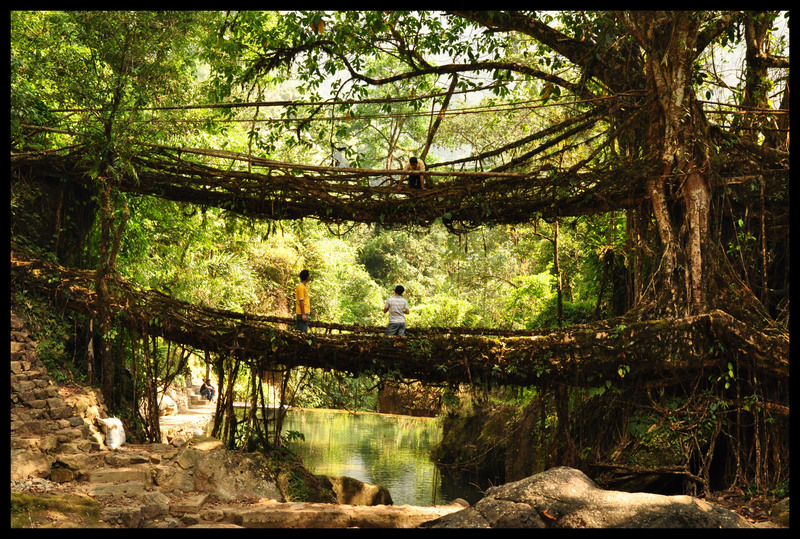 Somewhere inside the forests of Meghalaya, in one of the wettest places on earth, bridges are not built, they are grown. 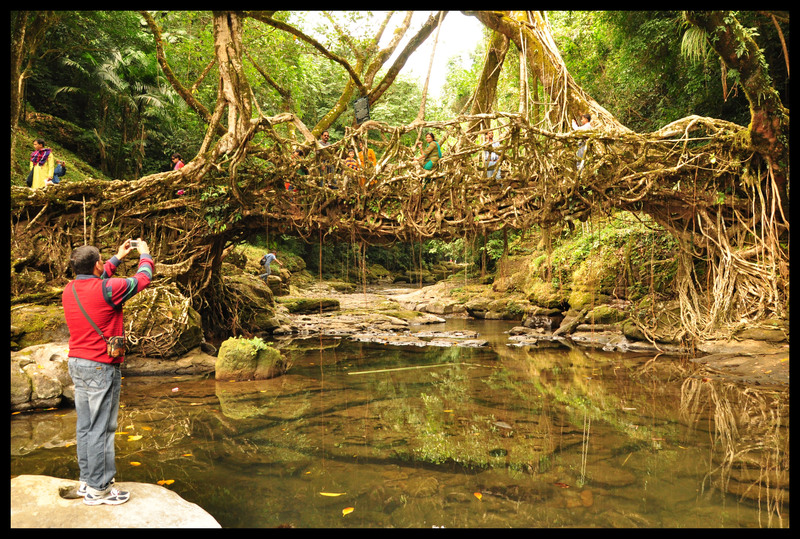 The living root bridges are made from the roots of Ficus elastica, the humble Indian rubber tree. The Khasis took notice of the strength and flexibility of the roots and saw an opportunity to make bridges out of them. 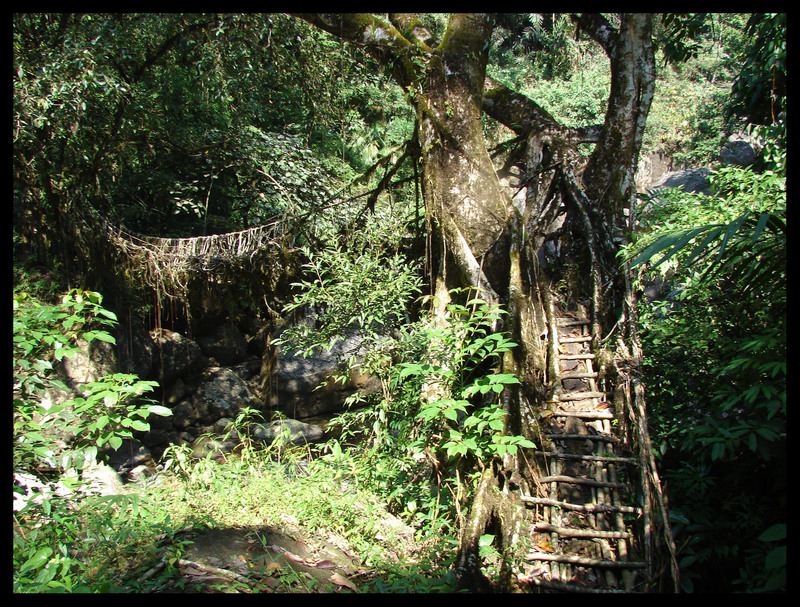 The secondary roots hanging from the tree trunks are used to build the bridges. The Khasis use betel nut trunks, sliced down the middle and hollowed out, to prevent the roots from spreading out and growing in the direction needed. When the roots reach the other side of the river, which may even take decades to happen, the root branches are then grown into the soil. The gaps are then filled with stones. The bridges can endure the weight of up to 50 people, and as the bridges are alive -not kicking for sure – and still growing they gain strength over the time. 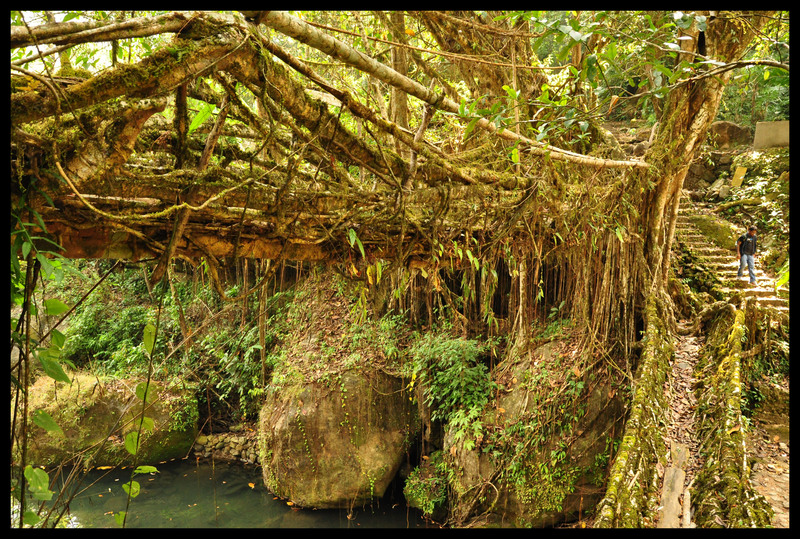 Some of the root bridges are more than a hundred years old. Now, whenever and wherever the need arises, they simply grow their bridges. An incredible feat of organic engineering. 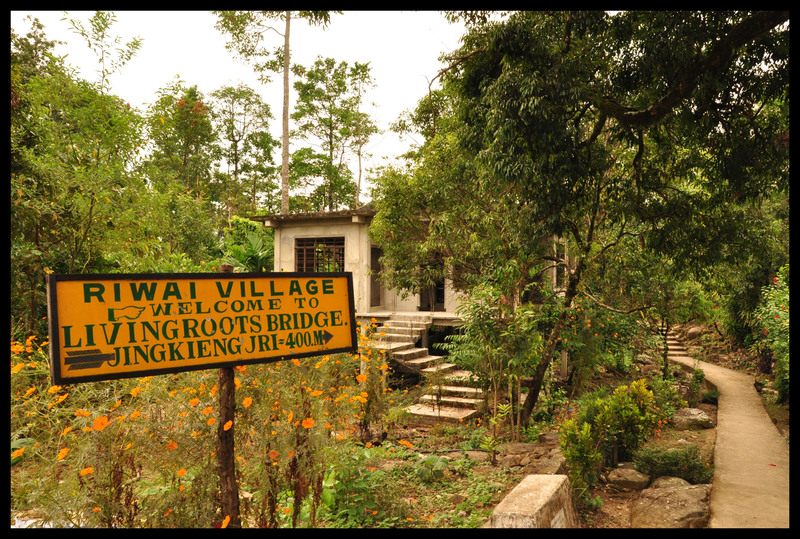 Our first sighting of a living root bridge was near Mawlynnong, chosen as the cleanest village in Asia. Garbage bins made of bamboo adorn every nook and corner, highlighting the consciousness towards cleanliness among the villagers. 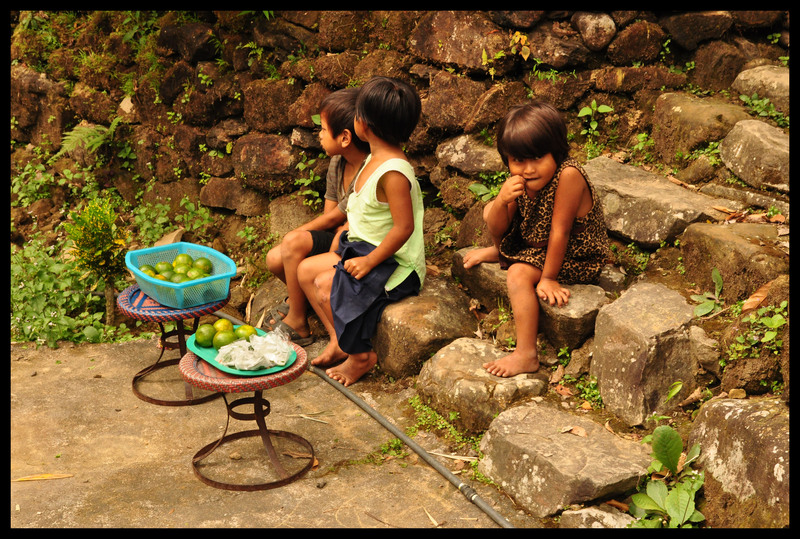 Aesthetics and cleanliness are an age old tradition and a way of life for the simple folks of Mawlynnong. 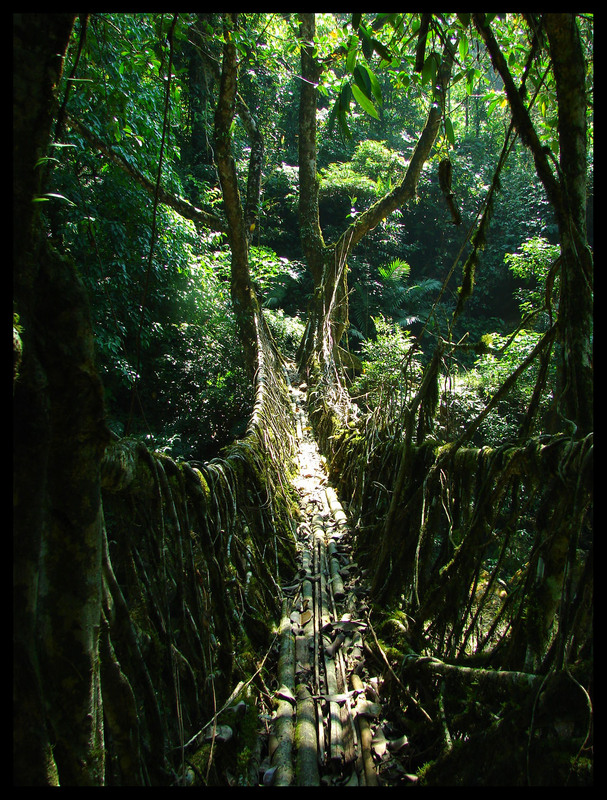 The village is not just known for its cleanliness and community based eco-tourism drives but also for the picturesque trek to the living root bridge in Riwai. We had started from Shillong, 90 km away, at 8 am in an MTDC bus full of tourists. 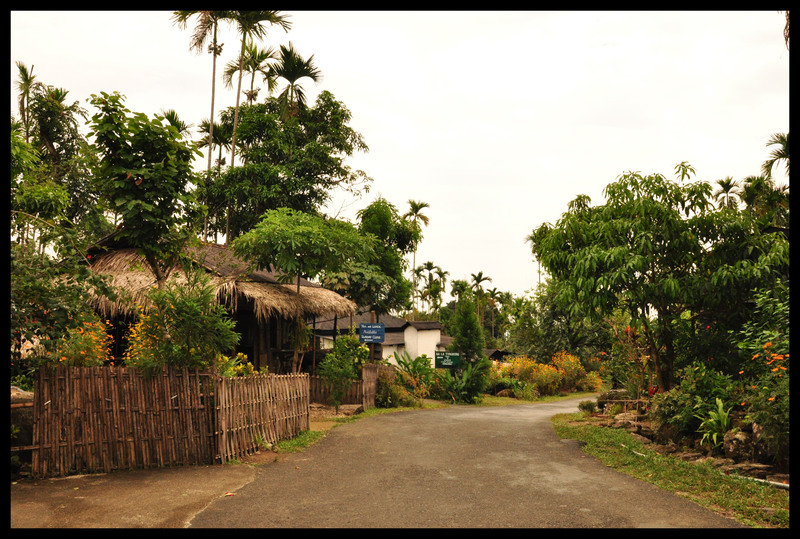 The scenic drive from Shillong to Mawlynnong offers a spectacular view of changing vistas. The drive from Shillong to Mawlynnong took us through some beautiful landscapes that kept changing with every turn on the road. 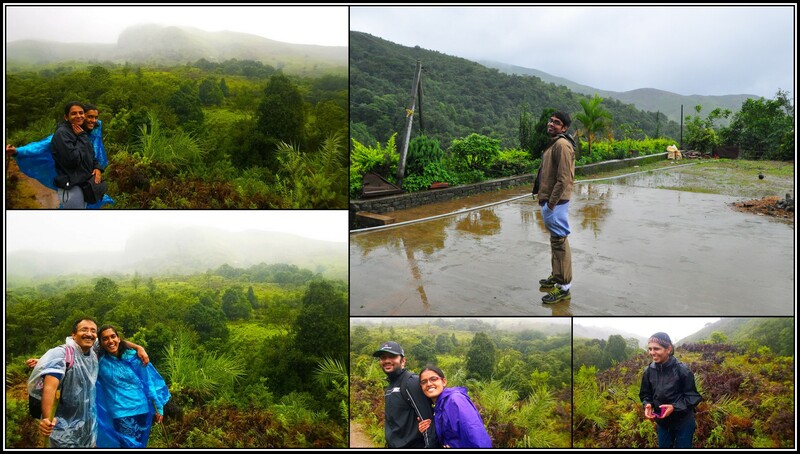 Dense forests gave way to pretty meadows, hills dotted with multiple waterfalls, the clouds coming down to catch us, it all seemed as if it were a slide show. It was 11.30 when we arrived at Riwai village. We dodged past some village children, trying to sell us fruits like oranges and pineapples, following a cemented path that led to a rocky path down to where a busload of tourists were headed. A few minutes later we could hear the soft gushing water from below. It felt like entering a magical land. And there it was. In all its glory, the living root bridge. All the pictures you would have seen, all the descriptions you would have heard about cannot prepare you enough for the sight of a living root bridge. Walking on the root bridge, admiring the knotty roots that were twisted into strong barricades, looking down at the small stream flowing by, time stood still. The only thing that brought us back momentarily was the occasional clicks of the cameras. Now I knew that it was true when they said that the root bridges could take the weight of more than 50 people – in other words, 50 tourists complete with their cameras! 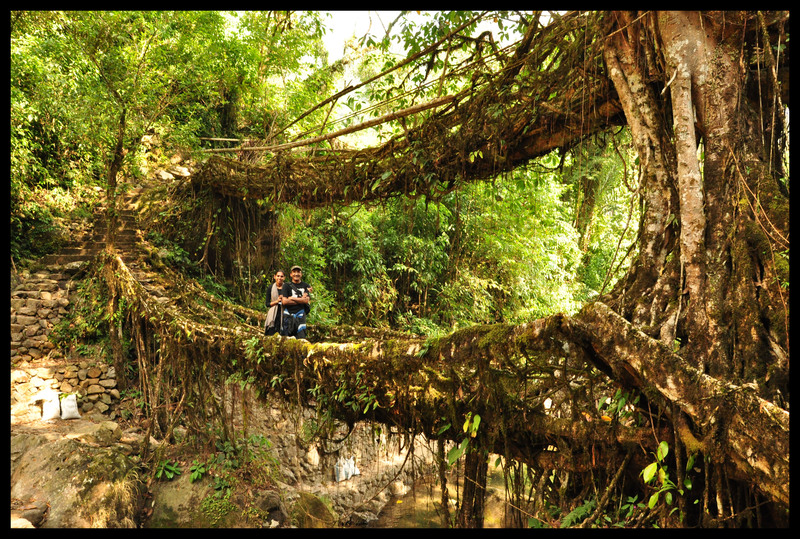 But it would have to be our next outing that was to get us face to face with the superstar of them all – the double decker root bridge in Nongriat village, better known as Umshiang double decker root bridge. 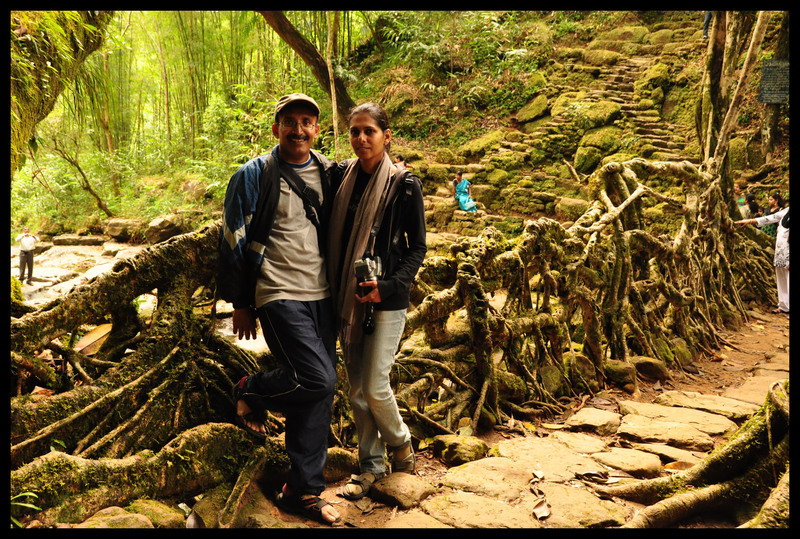 About 15 km from Cherrapunji, amongst the thick jungles lies a treasure. 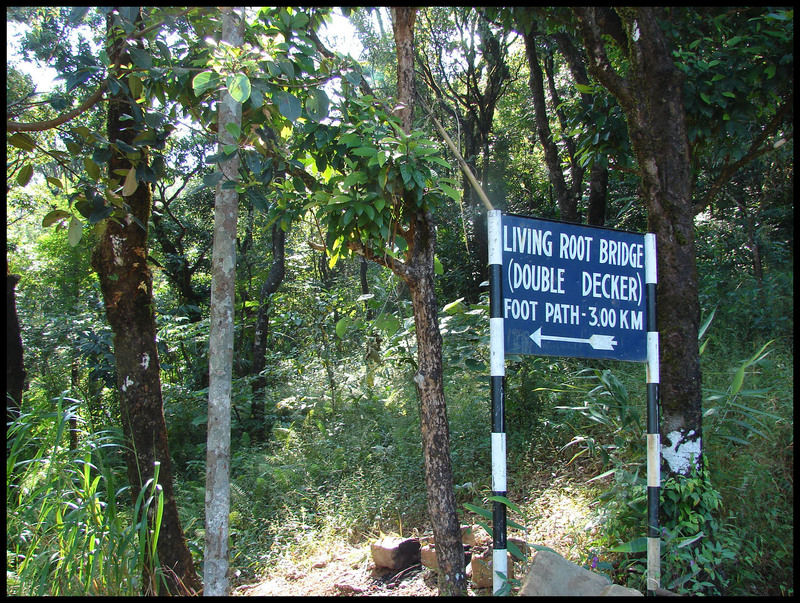 A cab left us at Tyrna village and a sign showed that the double decker root bridge was 3 km ahead. Piece of cake, eh? It was a happy morning, devoid of traffic jams and mobile signals. We followed a cemented path that took us through the small Tyrna village. There were clear markings that told us where we had to go. The cement path came to an abrupt end and we were standing in front of a flight of stone steps. That was it. 2000 steps and the treasure was ours. Step after step we climbed down, fully aware that what goes down also has to come up! The trek was strenuous but the route was enjoyable and the scenery terrific. We could spot distant villages in the jungles on the mountain sides. The constant sound of the crickets was a welcome change from the normal boring sounds of the cities. We passed a few villagers on the way. No wonder, they all looked fit and lean. 2000 steps a day would burn atleast 100 calories!! And all of them had this funny look on their face. Well, we were panting and sweating like pigs. The long root bridge en route to the double decker! We passed a village called Um-Sophie. Missed the sign board, took the wrong route but found the right way after barging into a small school and asking for directions. A few more steps later, we were at the Long Root Bridge. Standing alone over a small brook, it had a very creepy look. From the cobwebs seen around, I do not think it had many visitors. The water was inviting but we had to reach our treasure. A few minutes rest and a quick bite gave us the energy we needed for the next many steps. We climbed up to the village, now following the right path, and were on our way. Another punishing flight of steps and we were at another bridge – not root this time but iron. The chasm was much wider and a bigger river rushed below. The gentle roll of the bridge, increasing with every additional person who gets on it, and a glance below is not exactly what the faint-hearted would call a holiday experience! The climb ahead passed through some thick woods, trees enveloping us on all sides. We were happy to capture a few butterflies, always ready for an excuse to take a few breaths. We even saw a snake lounging in the foliage. 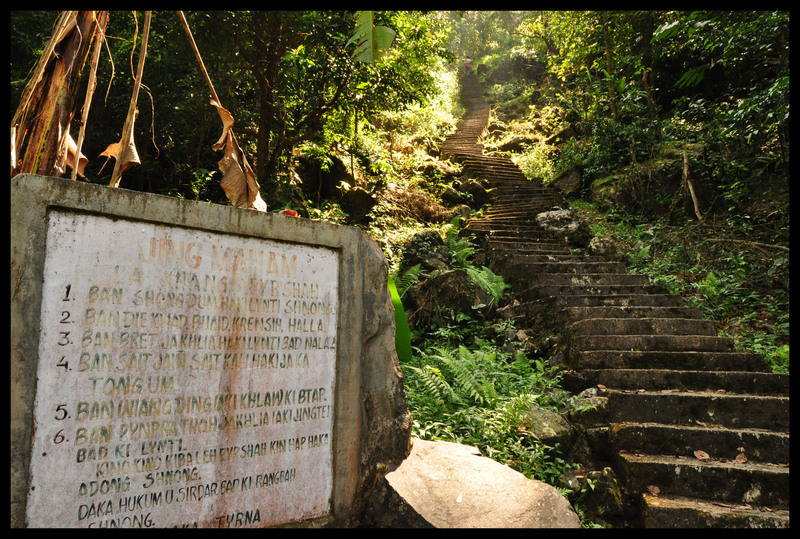 At the third village, Nongriat, we paid the entrance fee to a village lady, climbed a few steps and then a few down. And stared at what we came all the way to see. There it was, all two tiers of it, as strong as any iron bridge could be, just right out of one of my dreams. Like the ancient Treebeard, the gnarled tree rose above in a double decker maze. I was expecting Pippin and Merry to fall off anytime. 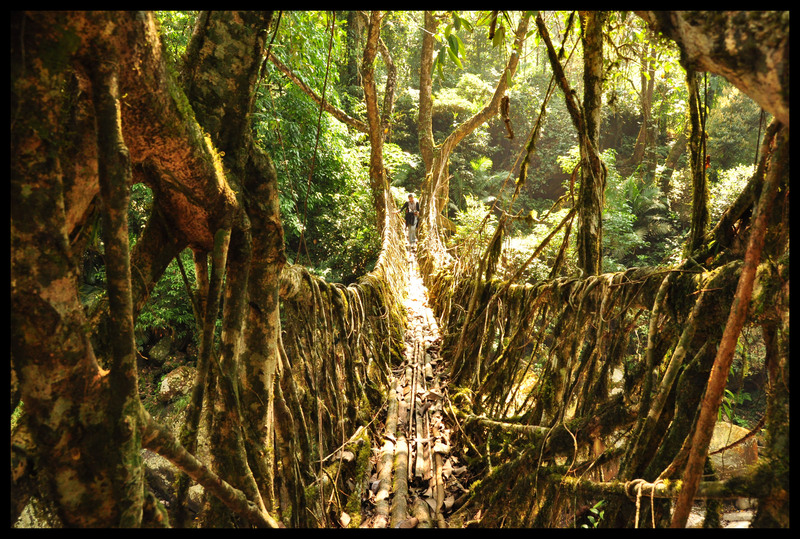 The double decker root bridge, our treasure, the pride of Meghalaya. And, more importantly for us, the happy culmination of a grueling trek of over two thousand steps. The stream that flowed under was gentle and had made a small pond right for anyone who wanted to take a dip. The greenery made for a great setting and all we heard were the birds and the crickets, and the soothing flow of the brook. We were lucky there was only one other group around, so could spend a full one hour resting our tired limbs and feasting our eyes at the magical view. I kept looking for hobbits, were they hiding somewhere from these crazy camera wielding tourists. J.R.R. Tolkien must have been here while writing The Lord Of The Rings. But, Peter Jackson surely missed the true spot.